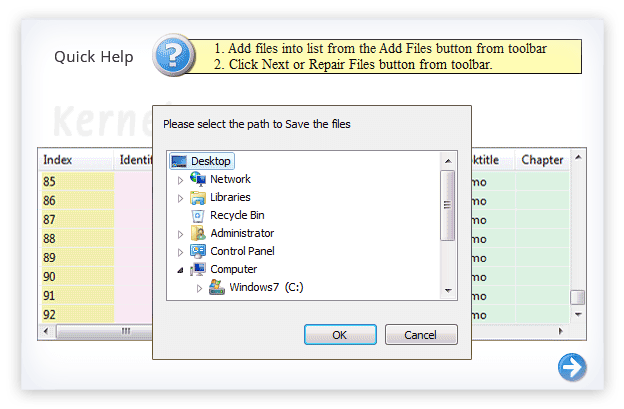 Provide a complete preview of data before saving and option to rename the repaired file. Fixes DBF file inaccessibility due to bad sectors on hard disk, Windows errors, storage media corruption, virus attacks, system shutdown issues etc. This is the best database recovery software that I have ever come across with. You can recover your data simply in two-three mouse clicks. It is a nice and quick tool. I got all my data back in minutes. So I recommend it 1000 times to all. Using Kernel for DBF, the user can recover all the important DBF Database objects like indexes, tables, unique keys, etc accurately. You can use it to recover multiple DBF files at one go. Database software stores its data in the Database File (DBF) format. 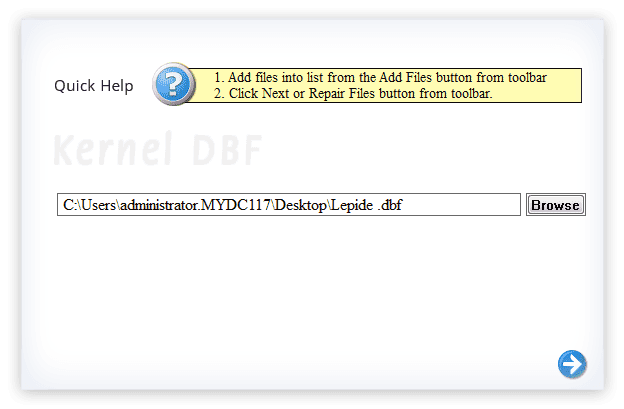 With Kernel for DBF, one can recover DBF files created by FoxBASE, MS Visual FoxPro dBase, and Sybase. Kernel for DBF can deal with all database corruption & DBF file inaccessibility which occur due to various reasons such as application shutdown issues, storage media corruption, bad sectors on hard disk, & virus attacks. Kernel for DBF is a user-friendly tool. It can be downloaded and operated even by non-technical users. Its screens are highly descriptive. Also, with this utility the entire recovery process gets completed in a few mouse-clicks. After the recovery, you can see the recovered data live on the screen. 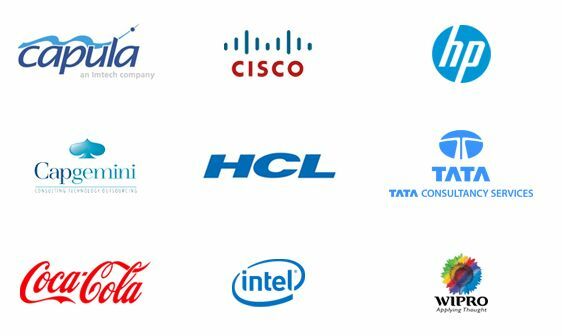 This facility turns very effective when user wants to verify the accuracy of the data. 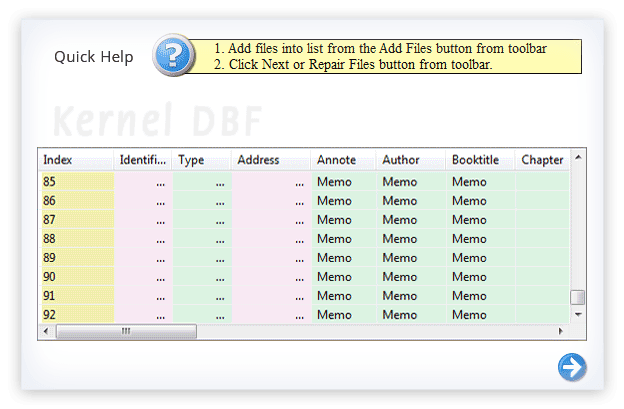 Kernel for DBF Database Repair tool offers to customize the settings to define the desired name for repaired files using ‘File Name Prefix’ settings. BrowseIn this step, user can select and add the corrupt or damaged file to perform successful recovery. PreviewIn the very next step, the software displays the DBF database items for a clear preview. SaveIn the final step, the software allows you to browse for the saving location and save restored data respectively. How I can learn to use Kernel for DBF? DBF file recovery using Kernel for DBF is straightforward. There is nothing to learn. Normal computer users can do it just by reading the on-screen instructions. The trial version is meant for evaluation purpose. So, it lacks the feature for saving the recovered data. For rest of the functionality & features, both the Paid and Free tools are same. What to do if I face some difficulties while performing the DBF recovery? You can always contact our support team. We answer queries, help with DBF recovery and assist in purchasing the tool. Enhanced recovery engine. Fixed minor issues in display of data in Preview Window. Kernel DBF v4.04.01 is updated, to handle new corruptions and few bug fixes. Your database files have been damaged or corrupted. Now what to do? Kernel for DBF repairs corrupted DBF database files. The software effectively repairs the Microsoft Visual Foxpro (.dbf) databases and dBase database files. The efficiency and effectiveness of both of the software’s is proven by the easy to use user interface and minimal technical skill sets needed for restoring DBF and Paradox database files by using this software.